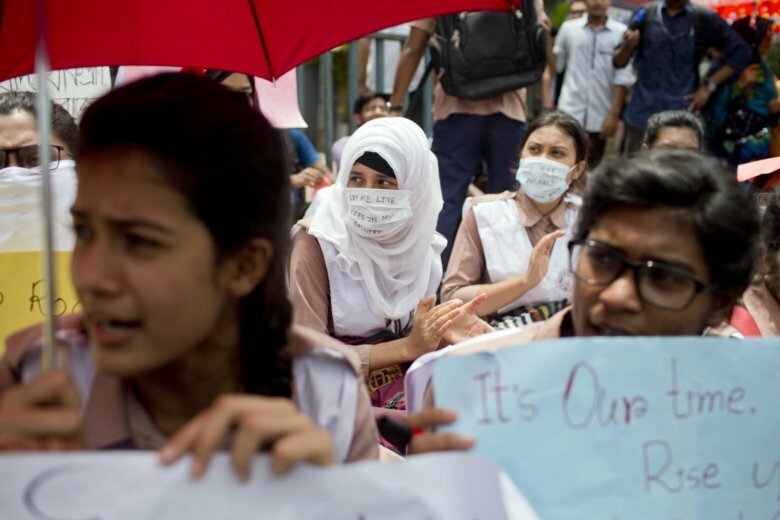 DHAKA, Bangladesh (AP) — Thousands of angry young people took to the streets of Bangladesh’s capital again Sunday to demand safer streets, facing police firing tear gas and pro-government activists who attacked them with clubs. The pro-government activists, members of a political youth league, also attacked at least five journalists, including an Associated Press photographer who was briefly hospitalized with a head injury. Footage of the attack on social media showed him surrounded and beaten by nearly a dozen men in the city’s Dhanmondi neighborhood. The protests have become a serious embarrassment to the government of Prime Minister Sheikh Hasina ahead of a general election due in December. Her party is blaming the main opposition, led by Prime Minister Khaleda Zia, for using the student anger to create chaos for political gains. Political feuding between the two political leaders has dominated Bangladesh’s politics for more than a decade.